So I’ve been quite ill for a couple of days. I hadn’t been ill for 2 years, not ever since I stopped smoking (a story for another time … or read everything about how I convinced myself in every possible way that I was a non-smoker HERE). So here I am again, low energy, pain in my lungs/heart area … and coughing … a lot. I had planned to go to a Christmas market to present my paper handmade notebooks and other paper crafts … (Wait, you don’t know anything about that either ? … O boy ! I’ve been way from the blog zone way too long … Visit my Etsy shop to see what I do with my hands when my mind is busy inventing new e-courses and dreaming wild dreams!). So … Christmas market … I went. Spent the day. Sold a little. Coughed a lot. 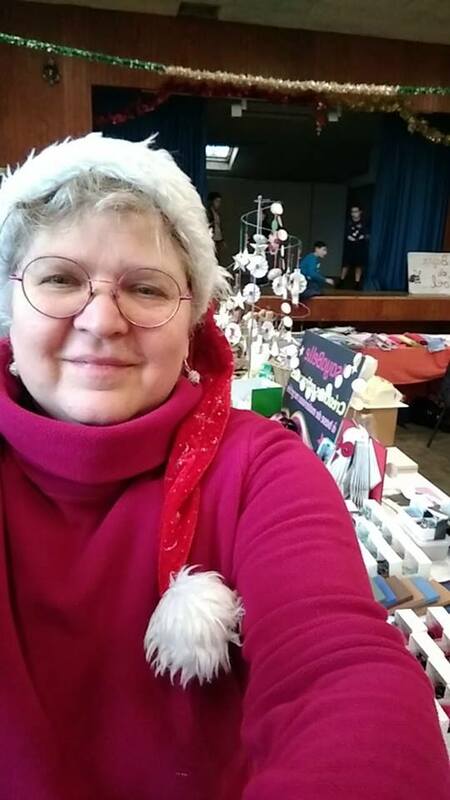 Me at the market… quite ill but still rocking it ! Sometimes when I let my voice take over my thoughts, I follow my intuition and when I listen to myself … it’s like a light bulb moment … Like I’m “hearing”, “discovering” something new about myself … I had tried that the day before, following Laura Diane Soer‘s advice in her new and Oh so powerful program Inside Delphi. Then something that had been in plain sight but Oh so hidden … surfaced. 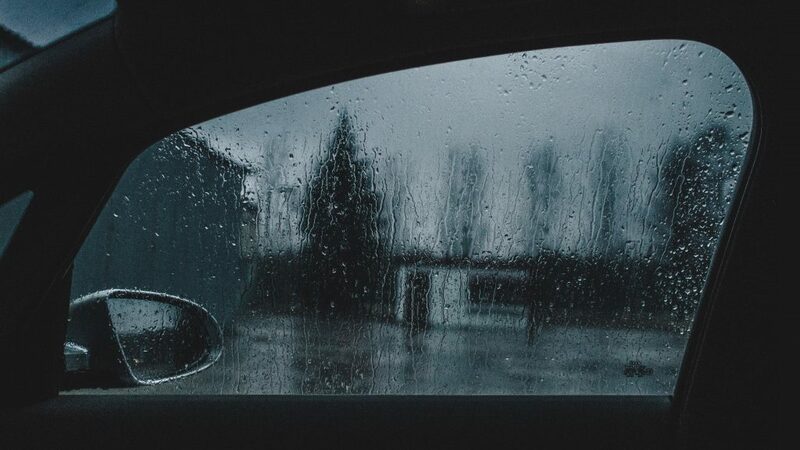 Almost accurate view from my car window … tears included ! Because in fact she was the one crying. So I drove and she cried and we both forgave. And then forgave some more. We both forgave a few other people involved. So I took off my shoes and walked outside again, in the middle of my front “garden”, on the cold (yeah, we’re talking winter here, no ice cold, but still…) wet (it has been raining ALL day…) ground. And I prayed. Turning counter clockwise like Amanda said (check who Amanda is HERE, if you’re interested) I asked Gaia to take it all. In Greek Gaia means “Earth”. 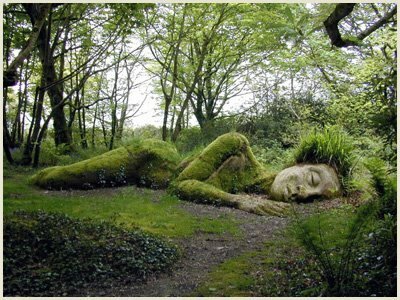 For me Gaia is not just a Goddess. I could feel Gaia embracing me, and sending me love, and … more love. At the same time, I could feel the sh*t going down my arms and legs and into the ground, deeper and deeper into the earth until it reached the center of the planet where fire and lava and fusion live and destroy everything (very Kali of Gaia, isn’t it ?). And then I stopped turning. And I realized I’d been crying all along. Then I did one last turn thanking all directions and all elements of Gaia for helping me release and let go. 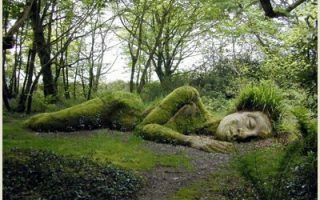 My gratitude to Gaia was, is and always be immense. Now I also understand more of the why I have always felt it. She is all powerful, the beginning and the end of everything. Just remember to ask her. Beginning in January I will be offering a few different ways to understand and work with Gaia, and grasp how she can assist you everyday. Stay tuned! PS2 : I should also mention that I’m doing 21 days of Angelmas, the amazing free program of the awesome Corin Grillo … And I was on Day 19, Th day of the Gift of … Divine Love ! Serendipity ! Thank you, thank you ! Previous ArticleSpeak your truth with Athena … Lesson learnt ! Next ArticleI’ll be by the fireplace, thanks for the reminder Hestia !